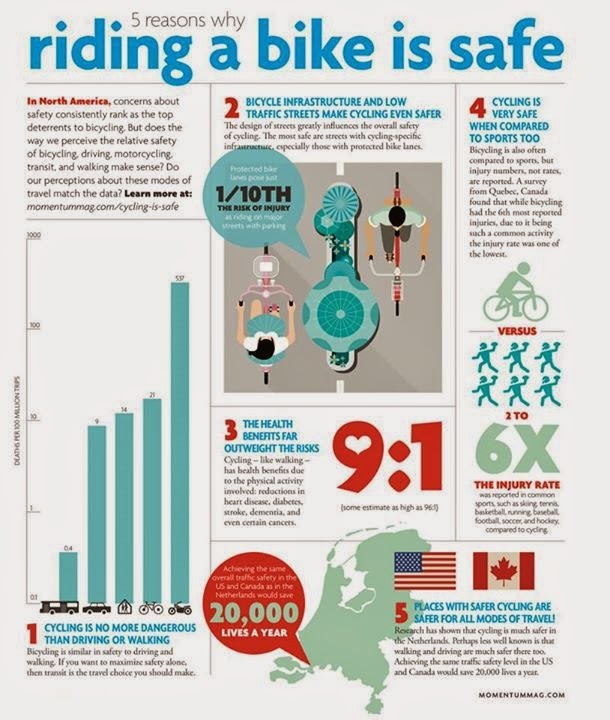 Courtesy of Momentum Magazine -- In North America, concerns about safety consistently rank as the top deterrents to bicycling. Most of us don’t like the idea of riding in traffic next to heavier vehicles that are traveling at higher speeds. Our perceptions about these routes are right – on busy streets, Dutch and Danish-style protected bike lanes are safer than riding in mixed traffic. And in places with abundant separated lanes, cycling is much more common.